Dinner with Watson, Coulter and Holmes...what’s on the menu? 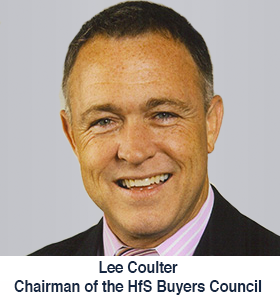 If there's one character, on the client side, who's really take on the mantel of "Chief of the Robo-Buyers" it's Lee Coulter, the year's Chairman for the HfS Sourcing Executive Council. A few weeks ago, at Phil’s event in White Plains, I got to hang out with some of industry's best and brightest. Of course, as we have been doing at HfS for years, we looked to the future for trends, disruption, and new capabilities that will influence what the SSO industry will be facing. I also had the privilege to hang out with Gerd Leonhard for a couple hours over a drink. That was a real treat. Not surprisingly, there was a lot of talk about automation, machine learning, AI, cloud, aaS, and so forth. I remarked to Phil that gone are the days when we were wrestling with how to do transitions well, how to contract for BPO, location strategies, and even the years-long discussion about why we aren’t getting innovation from our service providers. In the last three years, the conversation has totally changed. Whether you are a Utopian or a dystopian, the irrefutable reality of rapidly increasing Intelligent Automation is a fact. Leading futurists like Kurzweil, Leonhard, and Diamandis disagree on a few things like timing and the impact to society and future of work; they all agree that the world will fundamentally change by 2030. During the event, and on the plane home, I was thinking a lot about what’s next. How do we get from where we are now, to a position in which our organizations can take advantage of this really cool stuff? The pace of the pace of advancement is such that I am calling this era Living Logarithmic. There are so many technologies in an exponential rate of advancement that in combination, the total acceleration is logarithmic. Weirdly, the human brain is inherently incapable of comprehension of change at this pace without deliberate effort. I have been feebly trying to do exactly that, and wanted to share some thoughts. My organization is an an early adopter of automation, and I am generally a geek that follows technological advancement fervently. We have a five-year roadmap taking us into a new world of d-BPO or digital BPO (will reserve for another discussion). We have a well-established CoE implementing unattended batched automation and assisted in-line automation, and are looking deeply at NLP, UCaaS, and Machine Learning (ML). We are in active dialog with Amelia, Cognitive Scale, Watson, and Holmes. These are technologies that all make use of ML. I am very careful with my choice of words here as things like autonomic, cognitive, and AI are not defined. As an aside, I should mention that I am Chair of the IEEE Computational Intelligence Society (CIS) Working Group on Standards in Intelligent Process Automation – the first output of that work will be a Guide to Concepts, Nomenclature, and Terms. We expect to be opening that for public input sometime in December. So for now, I lump these more sophisticated technologies into the bucket of ML. All of that is well and good. However, over the last year or so, we have made a surprising, and somewhat dismaying, discovery about this next wave of capability. Simply stated, you need DATA; lots and lots and lots of data. It is absolutely essential for this next round of advancement, and it is not the data you think you already have. It is no surprise that Google and Facebook (among a few others) are already in the business of ML and perhaps even some narrow AI. Their worlds are, by design, entirely digital. Every single thing that happens in their universe creates digital exhaust that is captured in truly staggeringly huge data repositories. It is estimated that Google has somewhere around 1.8 million servers today and approximately 15 EXAbytes (that is 15 million TB) of data. For comparison, that is about 3% of all of the data stored by mankind. Facebook collects 500 TB of data daily. The beauty of their worlds is that they designed it so that every part of it would be digital. All interactions between man and machine are digitized. Transactions and the software that enables them are built for AIDC and KeyValue storage. They planned it so they would have the data to feed their future. In the enterprise, we are not so fortunate. In fact, businesses today are data malnourished. What does that mean? I created that term to describe the current reality where enterprises have a digital record of remarkably little of what they do. Where they do have data, it is woefully insufficient and anything but a balanced meal when you consider the appetite for ML and AI. To give a bit more context, enterprise software systems of today are designed to discard almost every digital breadcrumb except the final transactional output. Because of limitations of computing and storage that existed at the time these systems were developed, programmers built the system to intentionally discard transitional data and contextual information. While most businesses have some sort of Business Intelligence (BI) program and a data warehouse and think things are rosy, they are not. Keeping with the food analogy, think of it this way: after business is done serving up a whole Thanksgiving dinner, the only digital record is a single byte of information regarding the color (but not even the exact shade) from one dot of icing on one cookie. That simply won’t do. That is data poverty and data malnutrition. The next big thing is going to be all about data: data forms, data formats, data structures, data strategies, data storage, data management (a field unto itself), human-machine interaction digitization strategies, data user, data context, data content, data fabric (a new term), data seeding, data landing, ACID testing, semantic data mapping, ontological structure imposition, Automatic Identification and Capture (AIDC), data governance, data cleanliness, and a whole host of new things known today only by experts. A new set of words and tools will likewise enter our business vocabulary: Hive, Mahout, Presto, Sqoop, Flume, Thrift, Hama, Oozie, Impala, Docker, Hbase, micro-service, Avro, Box, Kafka, Chukwa, Mongo, Dremel and Drill and Sawzall (not hand tools! ), Pig, Cassandra, and Storm. I realize that all sounds like a crap load of confabulation, but that too is a term we will get to know and hate. Confabulation: The act of making an intuition-based decision appear to be data-based. So folks, grab your Dockers with both hands, the Storm is coming, and there’s no Presto button to catch this greased Pig. If you didn’t find a little humor in that, it probably means you are suffering from the data scientist scarcity like most of the global industry. Current estimates say we are short by 200,000 data scientists in 2017. These folks currently make an average of $113k in suburban areas and command $200k in dense metro areas. Move over automation. We need to save our data malnourished companies... and quickly! Lee Coulter (pictured right) is currently senior vice president at Ascension and the chief executive of Ascension’s Shared Services Subsidiary. Lee is the 2016-2017 Chairman, HfS Sourcing Executive Council (SEC); Co Chair, World BPO/ITO Forum; Global Steering Committee member Shared Services and Outsourcing Network (SSON); and Chair, IEEE CIS Working Group on Standards in Intelligent Process Automation. In his 30 years in the SSO industry, he has worked in senior leadership roles for GE, Kraft, Aon, and Ascension. Lee - loved this piece! What's your advice to professionals looking to hone their data science skills? Do we need to go back to college, or is this something we can gain on the job / on professional courses etc? James, I think we will be leaving the term robotics as a catch all behind in the not too distant future. It has a rock solid place in automation, but is one flavor of automation; a very powerful and useful one, but one that is best described as "Unattended Batched Automation". I will be publishing the IEEE working group content here for everyone to have a look at and through IEEE we will be going through a process called "public input" where we will get everyone's thoughts. I can tell you in my personal vocabulary, I have broadened my general term to Intelligent Process Automation (IPA), however even that doesn't do justice to the new world where ML is in play. Stay tuned here. My next post will be on the "Tower of Babel" issue we have in this space. Insightful post Lee. My head is hurting from the data terms list ... but you are right. The digital world start with data. Will "our" 15+ EXAbytes of data be "owned" & "managed" across an ecosystem of strategic partners? Or do you see the global enterprise client organization wanting to, and exercising more central control? Insightful post Lee. My head is hurting from the data terms list ... but you are right. The digital world starts with data. Will "our" 15+ EXAbytes of data be "owned" & "managed" across an ecosystem of strategic partners? Or do you see the global enterprise client organization wanting to, and exercising more central control?